SEO tips and tricks that is performed on your website. This could be done by optimizing title tags, meta tags, URLs, content length, keyword density and pattern etc. SEO tips and tricks that is performed outside of your website. This could be done by getting high quality backlinks, PR reviews, getting social signals from Facebook, Twitter, Instagram and Even Pinterest. It is done to target your local customers. If you run a shop, you can even set targeted radius by 5-10km to attract only nearest people. Read all the SEO techniques that we use to make it work for you. We all know that Google takes social signals very seriously. That is why content marketing (promoting content on Facebook, Twitter, Pinterest etc) has become very important. For our clients, we make awesome content that people will love to share. The more shares and likes you get on social platforms, the more you become popular in the eyes of Google. Nowadays, if you are a brand, Google will show its love to you and bring your website to No. 1 page in SERPs. That is why media buying for PR is utmost important. Not only does it help in brand building and awareness, but improving overall SEO. Because, you are getting high quality back-links from branded publishers. Link building is like “Demography of Web”. Every inbound link is considered as a vote. If you have more quality votes than your competitors, you are a better brand, and should be given better ranking in search engines. How many times you have come across the issue of duplicate content? Almost all the websites are struggling with this issue. Thanks to the ever growing popularity of content management systems (CMS). Because, duplicate content confuses Google to make decisions which content should be rank better. 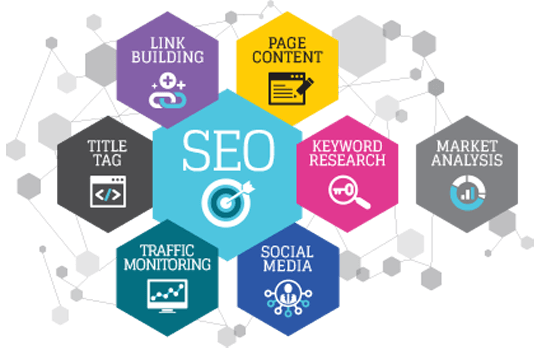 But, our years of expertise in playing with website structure, design and content will reduce all of your pain while doing SEO. Search engine optimization starts from your web pages. It is also known as On-page seo. Until your web pages are perfectly structured in terms of title tags, meta tags, URL structures, content length, keyword density and pattern, it is really hard to make SEO (on-page and even off-page) work for your website. So, we make sure that everything is aligned according to Google guidelines for SEO friendly web pages. Login to your webmaster tools and see whether all of your web pages are perfectly indexed or not. Your sitemap affects crawling of your website. If sitemap is not updated, there will always be crawling errors, thus affecting your SEO negatively.